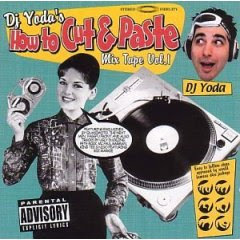 I'll be adding (not replacing, which meands the posts will be more) Turntabalist stuff like this f'kin classic (Spinbad did a legit 80's mega mix ie legit, the samples were cleared & I think this is the legit Yoda's vrsn.. I think :) - there is the 1st 80's mega mix, then this (Vol.1) & a Vol.2 which I don't have... anyway Its great if you like Mochipet's - Combat album then throw a ton of scratching and skillful deck work and you have this. I'll be adding some Q-Bert & Scratch Picklz stuff, Beat Junkies but don't fear there will be no rap ever !! here :) Theres enough places doing that. damn DRUMCORPS, sh1t I keep forgetting. k I'm gonna post the rest of the Dubstep Allstars series (only got 2-5... still can't find vol 1..
btw is the iPod working?